Since we had to cancel our January meeting due to snow, our first meeting of 2017 will take place on Tuesday the 21st! Our new board has a lot of exciting news to share and fun activities are planned. Yard Sale: We've had a whole month longer to clean out our sewing rooms and stashes and more importantly to identify whats missing! As a reminder, all proceeds will benefit programming in 2017 and anything left at the end of the evening will be donated to the NH Women's Correctional Facility. We will be accepting quilting cottons and flannels of any type (it doesn't have to be "modern") and scraps 2 1/2" or bigger packaged in plastic bags. These will be selling for 50 cents an ounce; magazines no older than five years and with all pages intact and patterns will sell for $1; quilting and general sewing books are priced at $3 each. If you have extra notions, (rulers, cutters, mats, hoops, needles etc.) please price these yourself. And Tuesday will be a great opportunity to recycle any projects you've lost interest in (otherwise known as UFO's!) These will be sold on a name your donation basis. Please bring a bag to take your purchase home in! We will be accepting cash and checks for yard sale purchases! Heather Jones: Don't want to pay for the Heather Jones workshop via PayPal? Bring your check or cash to the meeting and talk to Alison. If you do want to sign-up online here is the link! 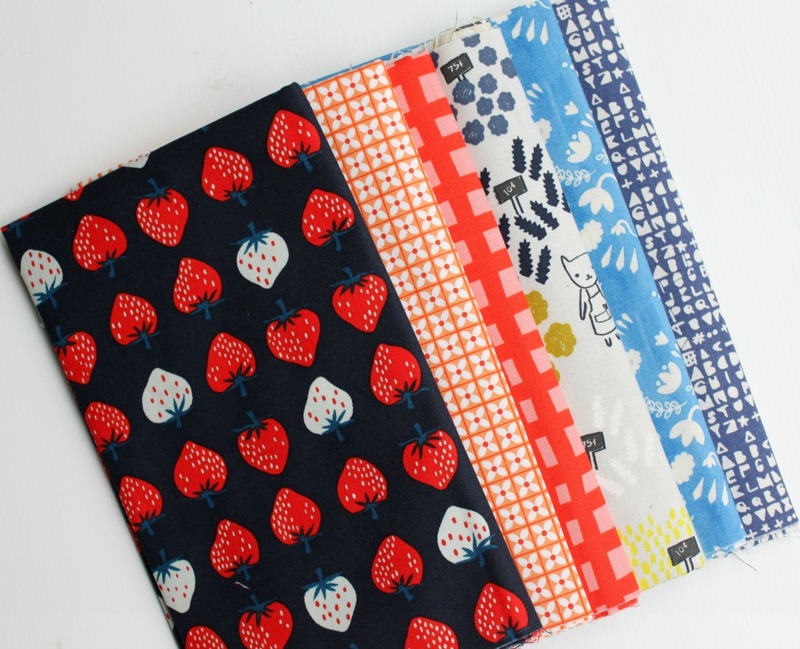 Giveaways & Raffles: Our giveaway item will be Yoshiko Jinzenji's Modern Sampler Quilt pattern. We will also have two raffles! Here's a hint: It's called The Pixie Basket Swap! 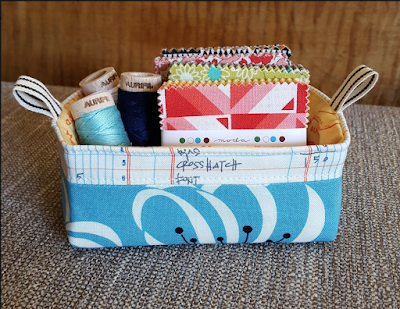 You'll have the opportunity to meet a member you might not know very well, do a little bit of creative sewing and shopping and give and get a gift! Here's a link to the Pixie Basket tutorial. Michelle and Nancy will show off their Baskets Tuesday night!